It’s all about the presentation! 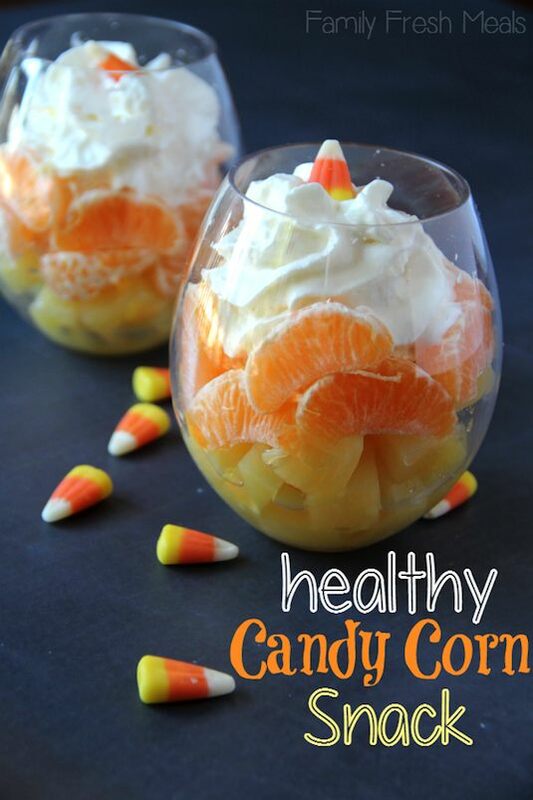 Stack pineapple, orange slices, and whipped cream or yogurt to create a healthier take on candy corn. Another creative cheese idea for Halloween! 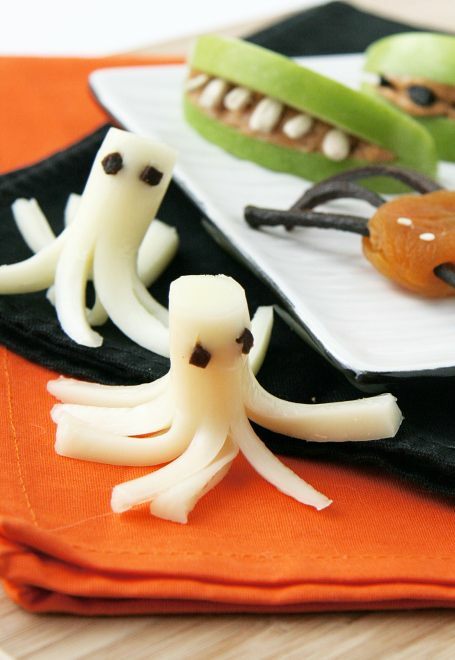 These octopus ghosts are pretty easy to pull off considering the string cheese is made to be easily strung and taken apart. Add them to a snack plate with crackers and fruit, and the kids are sure to love! Ewww! Well, wait. They’re just dates stuffed with cream cheese. Yum! 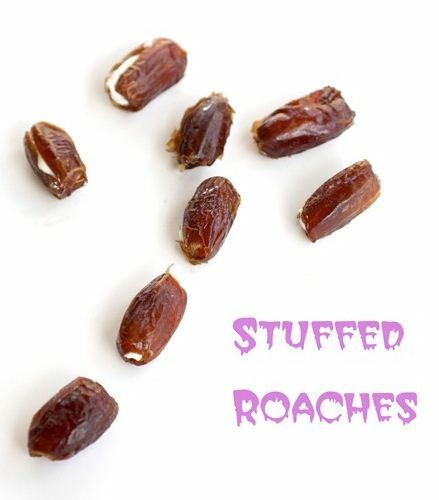 If you’re serving at a party, be sure to make a little sign that says “Stuffed Roaches” to make sure everyone is grossed out.